Well-balanced nutrition formulas in convenient single-dosage packets. 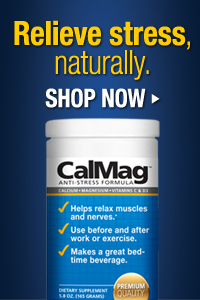 Our best-selling, fast-acting calcium and magnesium formulas. Two electrolytes that are essential to control the fluid balance in your body. Basic essential vitamins that you need for your health. Deficiencies of essential minerals can cause a variety of metabolic problems. Effective products to help you burn fat and lose inches and weight. Getting a good night's sleep in one of the most important things for your health. Natural products to boost your immune system and fight viruses and bacteria. A healthy liver is the key to remove toxins from your body. Copyright © Nutrina Company, Inc.. All Rights Reserved. Built with Volusion.